Home Lifestyle Relationship Is Your Partner Always Pointing Out Your Flaws? Do you believe that pointing out your partner’s flaws is helpful to your relationship? Learn why this is not true! Some people believe that it is caring to point out their partner’s flaws – that it will help to make that person a better person. But the intent behind pointing out flaws is not loving – it is controlling. By pointing out flaws, you hope that your partner will let go of the things that you don’t like and become more the person you want him or her to be. Now, be honest with yourself – is it working? He or she might try very hard to become what you want them to be, thereby losing themselves. You might find that the more your partner tries to comply with your wishes, the less attractive he or she becomes to you. People who give themselves up are generally seen as doormats – not as personally powerful and attractive people. 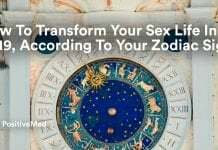 So, while your partner might try to change to be what you think you want him or her to be, you might find yourself losing interest. Your partner might be a person who hates being controlled – hates being told what to do and how to be. When this is the case, he or she might shut down to you, resisting being controlled by you. Since neither of these foster close, loving, love relationships – ask yourself again: Is it working? Are you with a partner who is always pointing out what he or she thinks is “wrong” with you? How do you respond to this? Are you the compliant type or the resistant type? How is this affecting you and your relationship? Neither compliance nor resistance is loving to yourself. In both of these responses, you are abandoning yourself. It is obvious to see that giving yourself up is a form of self-abandonment. 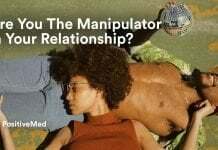 It is actually a form of control, the hope being that if you form yourself into who you think your partner wants you to be, he or she will love you. Now, honestly, is it working? It may be harder to see that resistance is also a form of self-abandonment. Instead of being who you are and doing what you want to do, you are reactive to your partner, resisting being controlled by him or her. It is actually another form of giving yourself up because you are not doing what you want to do but instead just resisting what the other person wants. 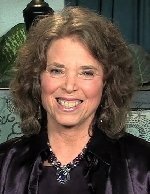 Again, be honest with yourself – it is working to create a loving relationship? Is it working to create a sense of personal self-worth? This unloving relationship system can change! As the one who judges, you need to learn to take your eyes off trying to change your partner and put them on yourself – on how to take loving care of yourself regardless of what your partner is doing. You need to accept that trying to control your partner by pointing out flaws only creates a lack of closeness. As the one who is being judged, you need to stop being a reactor and start speaking up for yourself. You might feel terrific if, instead of complying or resisting, you were to say something like, “I’m not available to be judged by you. When you want to be accepting, let me know. Meanwhile, I’m going to (read a book, take a walk, go out with a friend, etc. ).” We train people how to treat us, and by no longer being reactive to being judged and instead taking loving care of yourself, you might find that your partner gives up pointing out your flaws! Previous articleIs Love An Addiction? 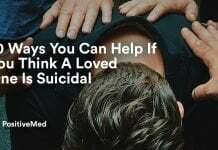 What Every Couple Should Know About Love Addiction!